Disclosure: This is a paid advertisement for natural green diamonds. Welcome to Natural Green Diamond, your source for exquisite, naturally occurring green diamonds. We specialize in the responsible mining, cutting and polishing of these rare beauties for individual collectors and jewelry manufacturers worldwide. Natural green diamonds, second only to natural red diamonds in rarity and value, capture the essence of nature in infinite shades of green. At Natural Green Diamond, our master craftsmen carefully preserve this inherent beauty while skillfully unveiling stunning sparkle and clarity. All of our natural green diamonds are gifts of nature – they are not color enhanced or treated in any way. 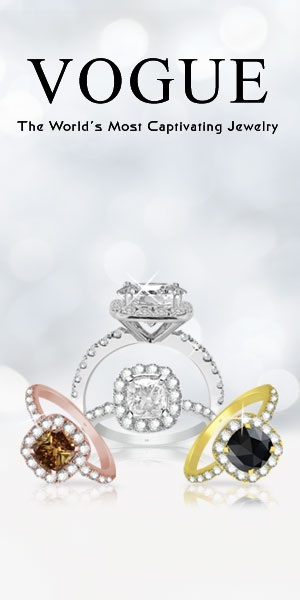 They come directly from the source, are guaranteed conflict-free, and are KPC as well as GIA authenticated and certified. 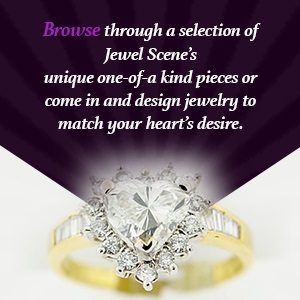 We invite you to browse our website to find out more and contact us today to purchase your natural green diamond. Most people are surprised to discover that green diamonds do indeed naturally occur in nature. But the set of conditions that must exist in order for a green diamond to be formed naturally is almost statistically impossible, making natural green diamonds extremely rare and valuable. Diamonds are formed naturally deep in the mantle of the earth’s crust when carbon, subjected to extremely high temperatures and pressure, becomes crystallized. The green color in a natural green diamond, however, can only result from a perfectly colorless rough diamond’s prolonged exposure over millions of years to a specific type of radioactive source. The size of the rough stone, the length of time it has been exposed, the strength of the radioactive source, and the type of radiation emitted altogether determine the intensity and depth of a diamond’s green color. Science has taught us that a diamond’s exposure to alpha and beta rays yields only shallow green coloration that is often lost during cutting and polishing. But prolonged exposure to gamma and neutron radiation is when the magic really happens, and a true natural green diamond is born. Green is…life, nature, serenity, health, harmony, and prosperity. Just for a moment, imagine our world without the color green – gone are our green grass, shady green trees, clear blue-green waters, and lush green rainforests. How different our world would be! Now take a moment to look at all of the different shades of green that surround you. You will see that nature has blessed us with infinite shades of green – pure greens, yellow-greens, blue-greens, brown-greens, and even gray-greens! These are the colors of natural green diamonds. Pure green diamonds are extremely rare, and are often considered the most desirable of all natural green diamonds. But just as in nature, every possible combination of greens can also be found in diamonds. Yellow, blue, brown, and gray are normal secondary colors or modifiers in green diamonds. Yellowish-Green, Yellow-Green, Bluish-Green, Blue-Green, Grayish-Green, Gray-Green, and even Gray-Yellowish-Green diamonds also occur in nature. These combination green diamonds are just as beautiful and breathtaking as pure green diamonds. And the more intense the color, the more valuable the diamond. At Natural Green Diamond all of our green diamonds come directly from nature and have not been color enhanced or treated in any way. 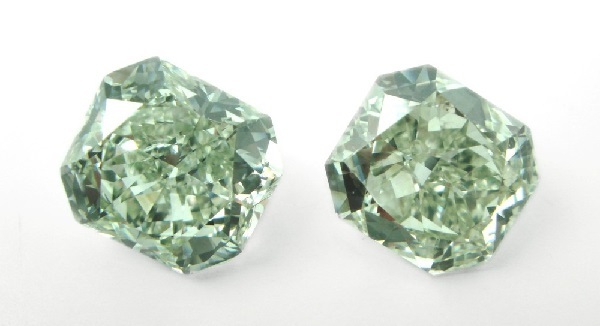 They possess genuine “body color” and are true natural green fancy colored diamonds. Fancy colored diamonds are many times rarer and more valuable than colorless diamonds. Natural green diamonds in particular are extremely rare, second only to natural red diamonds, making them exponentially valuable. The value of natural green diamonds is typically based on rarity and not necessarily on beauty, making pure greens very highly valued, and combination greens more affordably priced. There is one exception to this general rule which applies to green diamonds that contain blue as a secondary color – Bluish-Greens, Blue-Greens, Green-Blues, and Greenish-Blues are even rarer. The happen stance conditions that must occur in order for a blue diamond to turn green is virtually impossible, and hence these diamonds are even more highly valued than pure greens. Natural green diamonds continue to appreciate in value and set world record diamond prices. Natural green stones in the intense and vivid color intensity ranges that are above ¾ ct in weight are priced in the hundreds of thousands of dollars. In December 2009, a 2.52 ct. fancy vivid green cushion cut brilliant sold at auction for more than 3 million dollars or 1.2 million dollars per carat!